Launched by the former publisher of The Tulsa World, The Frontier is betting on a high-subscription-cost model — $30 per month! — to reach a core group of civically engaged locals. By Joseph Lichterman @ylichterman May 26, 2015, 2:51 p.m.
Not long after his family sold The Tulsa World to Warren Buffett’s BH Media Group in 2013, Robert E. Lorton III, the paper’s former publisher, began thinking about how he could get back into the news business. The traditional newspaper model is broken, Lorton figured, and online advertising isn’t really a sustainable way to support a news organization. So he decided to start The Frontier, a for-profit online investigative news startup that will keep most of its reporting behind a hard paywall. A subscription, or membership as the site is calling it, will cost a non-trivial $30 a month. The site will be ad-free, but Lorton said he’s working to attract corporate sponsors who will help underwrite it. A number of sites covering niche topics, such as the Politico Pro verticals or The Information in Silicon Valley, have built seemingly successful businesses using a subscription model because readers are willing to pay high sums for highly relevant news. But most of those successes have been tied to industry news; with The Frontier, Lorton (who goes by Bobby) is betting that there are Oklahomans who are willing to pay for thorough local coverage of their city and state. “I think if you do the stories right, every community has a small audience of passionate citizens who want this information,” Lorton said. The site has four staffers, all of them former Tulsa World editors and reporters. Tulsa is a small town though, and word got back to the paper that they were planning to join The Frontier. “We wanted to wait, but the news got out over the weekend,” Branstetter said. Talking Points Memo reported that Monday that they were leaving the World, and the reporters ended up announcing their departure that day. Then, while eating lunch with Lorton at a Tulsa barbecue joint, Branstetter and Aspinwall found out they were named finalists for the local reporting Pulitzer. But they started reporting for The Frontier almost immediately. By that Friday, Branstetter and Goforth, a Frontier staff writer, were already breaking news, expanding on reporting they’d done in their last weeks at the World on Robert Bates, a 73-year-old volunteer Tulsa sheriff who accidentally shot and killed an unarmed man. Want to correct bad info. We are starting a new media venture that has been planned for awhile. My departure has zero to do w/Bates story. At that point, however, The Frontier didn’t yet have a website, so they uploaded the first story as a document to Scribd, before switching to Medium until they launched a preview version of their site on May 7. “We had a plan for a splash page and an actual launch date, but news never stops,” Aspinwall said. The Frontier plans to put out a handful of well-reported stories each week. Though they’re calling it an investigative site, Branstetter said her “definition of investigative is pretty expansive in terms of including enterprise stories.” Ultimately, its goal is to grow its staff from four to 10 or so reporters and to expand its coverage from the Tulsa area to include Oklahoma City and elsewhere in the state. The site’s goal is to sign up 1,000 subscribers in the first year and to grow to 2,500 subscribers by the end of its second year, Lorton said. More than 400 people have already signed up to get more information about The Frontier on its temporary site. In order to just cover payroll expenses, Lorton said, The Frontier would need 700 subscribers — that comes to $252,000 at $360 for an annual subscription. “I do think we can get past 700, hopefully fairly quickly, but I also realize that this is not going to be something where we have 50,000 readers,” he said. Lorton has contributed some of his own money to get the site off the ground — though he wouldn’t specify how much — and he’s also begun reaching out to potential sponsors as well. He said he expects to bring in $250,000 annually in sponsorships, and Lorton said he’s already “close to that right now.” There won’t be any type of advertisements aside from a sponsor page where those supporting the site will be listed. Though The Frontier is confident it will find a paying audience, the median household income in Tulsa is $41,241 and the percent of Tulsa’s population living in poverty outpaces the national and Oklahoma rates. One in five of Tulsa’s 398,000 residents live below the poverty line, according to Census Bureau data. To reach potential readers who might not be able to afford a full subscription to The Frontier, the site is looking into partnering with the public library to allow free access there, Branstetter said. It’s also considering selling access to individual articles for a reduced rate. 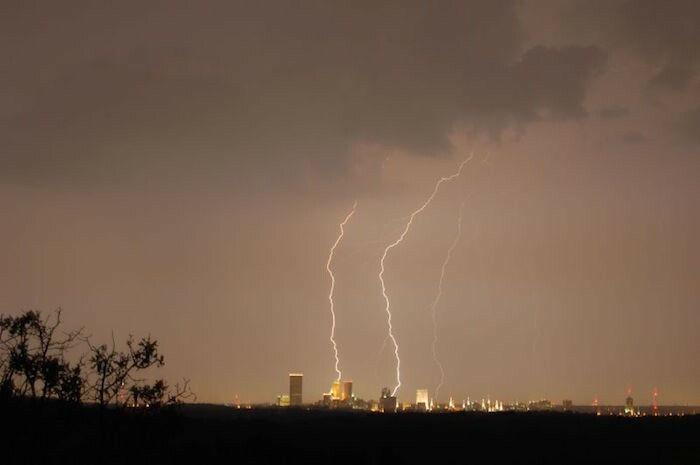 Photo of Tulsa lightning by Ian Carvell used under a Creative Commons license. 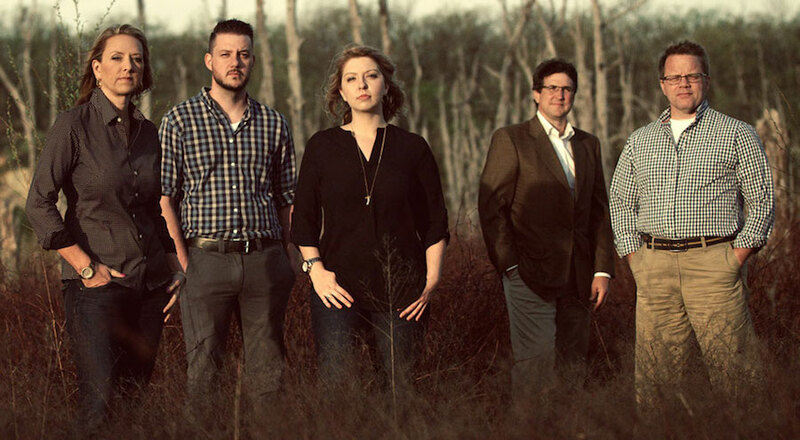 Photo of Frontier staff in the thicket by Kelly Kerr. POSTED May 26, 2015, 2:51 p.m.
Lichterman, Joseph. "Prairie news companion: Why The Tulsa Frontier thinks it can succeed with a hard paywall and no ads." Nieman Journalism Lab. Nieman Foundation for Journalism at Harvard, 26 May. 2015. Web. 20 Apr. 2019. Lichterman, Joseph. "Prairie news companion: Why The Tulsa Frontier thinks it can succeed with a hard paywall and no ads." Nieman Journalism Lab. Last modified May 26, 2015. Accessed April 20, 2019. https://www.niemanlab.org/2015/05/prairie-news-companion-why-the-tulsa-frontier-thinks-it-can-succeed-with-a-hard-paywall-and-no-ads/.